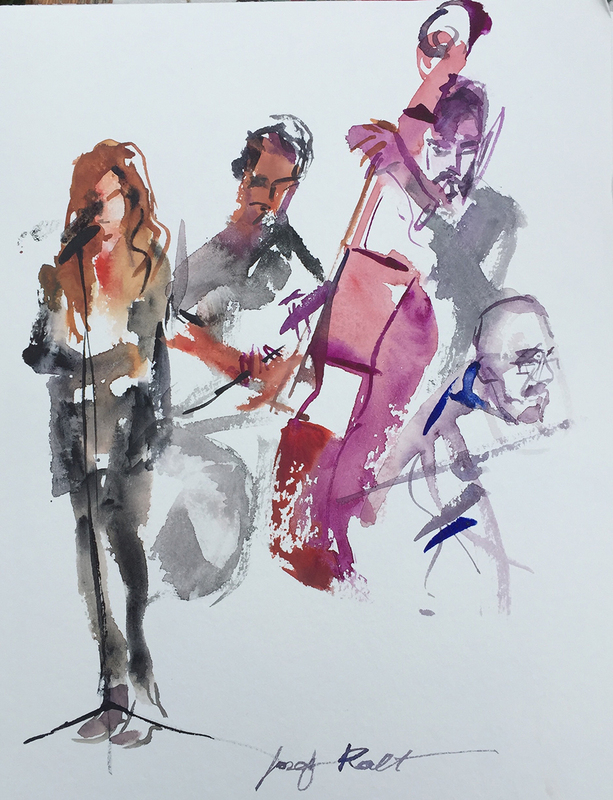 Sketching with live music has become a practice I enjoy tremendously. 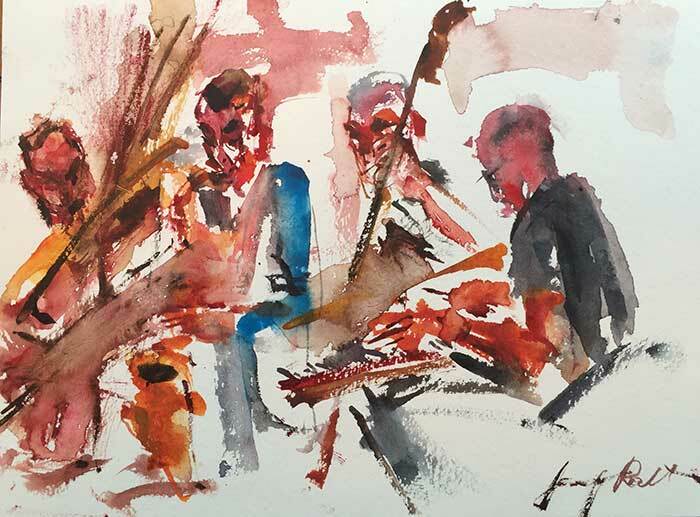 My recent exhibit at If Cafe in Budapest included many works that were done during live jazz sessions . 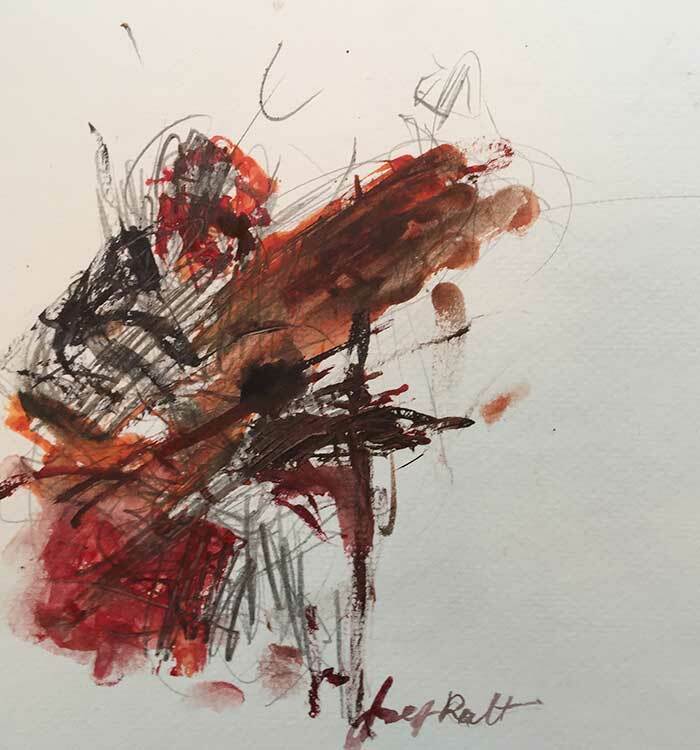 Sketching with the music allowing the eye and the hand to flow with rhythm ha s evolved from simple attempt to compensate for the fact that in many occasions it is not really possible to dance and move the body in a concert situations. This is really a pity, especially when it comes to energetic music that makes it unbearable to sit motionlessly and just watch. Tapping along with the rhythm is just not enough. 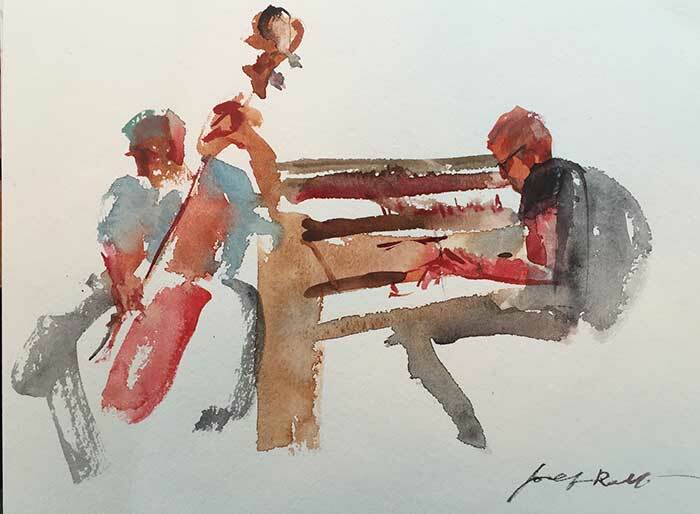 The practice of sketching with live music requires letting go of making nice art and concentrating on the flow and taping into the general energy created by the music itself, expressions of the musicians, the general feel of the place and subtle suggestions generated by the interactions between the formal values of the music itself and what I came to call the sound of form. The sound of form is the sound you hear with your eyes, I know it may sound absurd as we usually associate hearing with ears but what I am referring to is closely associated with chromesthesia which is a specific form synesthesia. It takes some practise to listen to objects with your eyes and of course I could simply use the term observation or even contemplation but it is all of that and a little more. By mastering the art of gesture drawing one can quickly understand what I mean by the Sound of Form.